The psychological state of mind. We believe what we see, but what if we have the ability to see what we believe? The Matrix paints a world where mankind lives in a computer-generated simulation called “The Matrix” in which sentient machines depend on the human’s body heat for sustenance. Our main character, Thomas, more commonly known as “NEO”, struggles as he not only tries to find out who is truly is, but more importantly- where. Released in 1999, The Matrix is a science-fiction film written and directed by The Wachowskis. Gaining popularity quickly, The Matrix grew to become one of the greatest sci-fi films of all time. The themes of the film challenges many ideologies of mankind in unique ways that seem relevant almost 20 years later, mainly the idea of Man vs Machine. We all believe that Men and Machines are separate entities. However, in The Matrix, the machines take the form of me as entities known as ‘agents’. We are introduced to one such agent, Agent Smith from the beginning as our antagonist. The agents seem robotic but are still able to display emotions, especially seen in one particular scene, where Agent Smith demands for the other agents to leave the room in order to talk to Neo in private. He then takes off his glasses, almost symbolizing the stripping away of the “machine” identity. 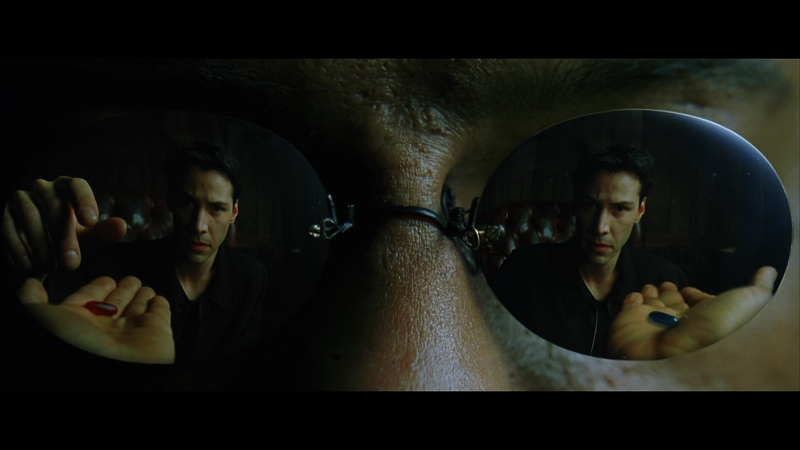 He tells Neo, in the most ‘human way’, tells him that he wants to get out of ‘The Matrix’. This blurs the lines between Man and Machine. Likewise, the men behave like machines. The team of Morpheus works almost like clockwork, following orders and carrying them out with much ease. In the film world, they are able to move as fast- and sometimes faster than machines. This essentially raises the idea that Mankind will always need machines, and likewise, machines are nothing without men. The film also deals with the idea of free will. In the Matrix, most of the characters are constantly given choices. Morpheus gives Neo the choice to stay in his world (where he has been living for his whole life) or to leave it behind for an unknown future. This resonates with the audience as in life, we are constantly given choices to choose between security and adventure. We want to be free, make our own choices. But we also crave structure and formality. We see this struggle reflected in the film’s characters. Cypher, desperately wants to return to “The Matrix” after spending years in the real world, citing that “Ignorance is bliss”. He thus gives up his humanity for something fake and made-up. But is that really wrong? Is the truth always the better option? 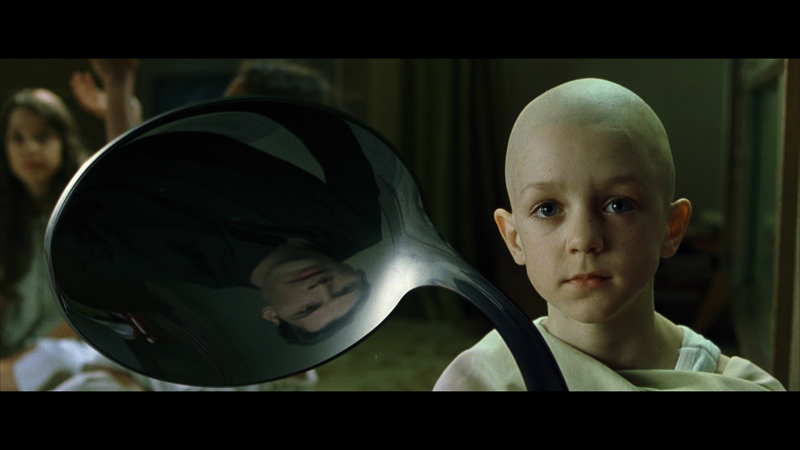 The film’s cinematography is exceptional, using many stunning camera angles that would illustrate the character’s abilities to bend space and time in The Matrix. The filmmakers also employed a special effect technique known as ‘Bullet Time’ where the crew used 120 cameras all running simultaneously to capture a movement at different angles. This guided the audience to understand that the characters are in a generated reality where they are able to perform any action their mind puts their body to. A visual motif present in the film would be the colour green. Bathed in it from start to end, the colour green makes the film look similar to a computer program, which expertly represents the state of the world – a manufactured reality. I would highly recommend this film to anyone who not only appreciates a visually stunning action flick, but a thought-provoking statement on our reality and what it means to exist. The Matrix more than delivers in both categories, it is a well-executed and a very fascinating film that would appeal to almost anyone.